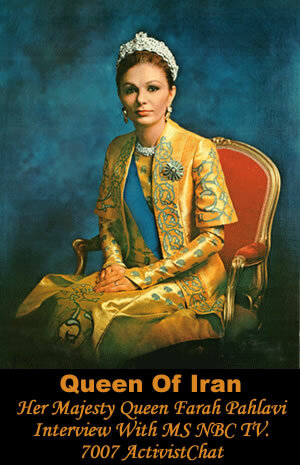 [FREE IRAN Project] In The Spirit Of Cyrus The Great :: View topic - Shahbanou Farah Pahlavi on French "Ch. 3"
Shahbanou Farah Pahlavi on French "Ch. 3"
Posted: Thu Apr 12, 2007 5:31 pm Post subject: Shahbanou Farah Pahlavi on French "Ch. 3"
France 3 TV "Vie Priv�e, Vie Publique". در کنفرانس �رويارويي با آينده�، که با حضور 2000 ميهمان و 400 خبرنگار در سی ام جون و اول جولای در بوخوم آلمان تشکيل شد، يک زن نامدار ايرانی نيز شرکتی فعال داشت. اين زن شهبانو فرح پهلوی بود که دعوت شده بود تا در ميز گردی در ارتباط با مساله زنان و کودکان شرکت کند. در اين ميز گرد خانم بيگم اينارا آقاخان و خانم جهان سادات (همسر رييس جمهوری در گذشته مصر) نيز شرکت داشتند. در اين کنفرانس که با حضور شخصيت های مهم جهانی و نمايندگان سازمان ملل تشکيل شده بود، به مسائلی چون حفظ محیط زیست، نقش اروپا در دنیا، توانمند کردن زنان، بهبود وضع کودکان و سهم هنرمندان در مبارزه با فقر جهانی پرداخته شد. خانم فرح پهلوی در اين کنفرانس فرصت را غنيمت شمرده و به تشريح وضع نابسامان زنان وکودکان در ایران پرداختند و توضيح دادند که حمايت جامعه بين المللی از تلاش های زنان ايرانی چقدر اهميت دارد و در اين راستا به خصوص وجود ارتباط بين زنان داخل کشور و خارج از کشور را ستودند. يادم آمد که، چندی پيش، يکی از زنان �جنبش زنان در ايران� طی نامه ای از ايشان خواسته بود که در زندگی زنان ايران دخالت نکند. فکر می کنم تجربه همين کنفرانس اين نکته را روشن کرده باشد که، جدا از اين واقعيت مسلم اجتماعی که هيچ فردی حق ندارد ديگری را از دخالت در موضوعی که هويتی اجتماعی داشته و از جنبه های شخصی عاری است منع نمايد، اجتماعات و کنفرانس هایي اينگونه و توجهی که به آنها می شود نشان می دهد که حضور زنانی که می توانند، با تکيه بر موقعيت بين المللی خود، صدای حق طلب زنان ايران را در صحنه های جهانی به گوش ديگران برسانند واقعا غنيمتی است که نبايد آن را، به صرف اين که زنان مزبور از نظر سياسی هم عقيده و يا هم مرام ما هستند يا نيستند، نديده گرفت. در اين کنفرانس هچنين چند زن فعال ايرانی ديگر، و از جمله خانم مهناز افخمی، نخستین وزیر امور زنان ایران و بنیان گذار سازمان بین المللی آموزش و همکاری زنان، نيز شرکت داشتند. Thank you very much Annie for your very kind introduction. It is indeed a great pleasure to be able to participate in tonight�s event. I must admit to you all, this is the very first time in my entire life that I have been asked to introduce someone. and services to our beloved homeland speak for themselves. There is a lot that I could say about her courage and dignity during very arduous times since our family�s exile from our beloved homeland. But in the interest of time, allow me to share with you what my mother is most remembered for, primarily by Iranians, and what she had accomplished in Iran. Perhaps one of the most evident and important issue was the participation of Iranian women in all aspects of a modernizing Iranian society. As such, my mother was indeed a role model to follow. This fairly recent status for women was not to be limited just for the elite or intelligentsia. It was to be promoted in the deepest regions of our country. Quite frequently, my mother would promote a variety of issue by literally hitting the trail. As such, she would bring much needed attention to often neglected areas, and raise awareness at the national level. To this day, one of the most graphic illustrations of her dedication to people is a photo of her being hugged and kissed by a leper at a special camp. Her particular attention to children, education, sports and healthcare was among her foremost priorities. It should not be left out that Iran�s contemporary art and the artistic community owes a great deal to my mother�s effort to put Iran on the map at the international level and establish a number a museums around the country, but to also bring art and culture to Iran by inviting the most prominent world artists. It goes without saying that the preservation of our cultural heritage was also among her chief concerns and interests. In short, ladies & gentlemen, the person you are about to welcome tonight is, to say the least, a great humanitarian, and it is my greatest honor and privilege to introduce to you my mother, Her Majesty Queen Farah Pahlavi. It is my pleasure to join you tonight in celebration of the great work done by Sibley Memorial Hospital. When my good friend Annie Totah asked me early this year, if I could attend Sibley Hospital�s Gala, I could not say no to her. Knowing full well that she is a cancer survivor herself and has been an inspiration to so many others stricken with the same disease. I hope with your support and generosity we can help Sibley Hospital to better achieve its noble goal of caring for patients in general, and for cancer patients in particular. Cancer is one of the most devastating diseases, not only for the patient but also for family and friends. I have personally witnessed and endured the suffering and the loss of two people closest to my heart because of cancer. At the age of nine, I lost my father to pancreatic cancer. He was misdiagnosed with jaundice, and for a long time treated with traditional medicines. I witnessed his daily deterioration, as well as the suffering and the anxiety of my mother and my family. I will never forget my last visit with him in the hospital. Later in life, I lost my beloved husband to lymphoma. I learnt about his illness in 1977. This was during the most devastating time in the history of my country. We left Iran on January 16th, 1979, and a month after our departure Iran was declared an Islamic Republic. I do not need to elaborate the resulting consequences for Iran, the Middle East and the world. From that moment on, our wandering around the world began. Not only did we have to fight cancer, we were also grieving the loss of many who served our country with honor and loyalty. We were also deeply concerned about the fate of the American hostages and their families. During those trying times, being away from our children was another hardship. According to doctors, it is always easier to care for an ordinary patient rather than a celebrity. Because of political considerations, my husband did not receive timely and necessary medical treatment. After much travail including the near diversion of our flight to safety to Egypt, my husband passed away amongst friends and brothers in Cairo on July 27th, 1980. Throughout his long and painful ordeal he never complained; he had prevailed over worldly pettiness. He was and still is an inspiring example for me and for my family. During all these difficult months, we continued to receive thousands of letters of support and encouragement from across the globe, and this made our days more bearable. I would like to share with you some of the experiences that life has taught me. Yes, life is a struggle for all of us regardless of rank and position. We might lose our loved ones, our country, our livelihoods, and our possessions. But, we must not lose hope and we have to keep on going. We should always strive to have positive thoughts, and to avoid bitterness and self-pity at all times. We have to be compassionate and believe in the power of love. I remember what was written on a shirt given to me years ago by Pearl Bailey: it read �Don�t Give Up, Get Up�. I believe each cancer patient has different medical needs, but suffering remains universal. We are all gathered here to express our support for the Sibley Hospital Cancer Center, for its work in educating the public, for its research, for its care of patients and for its positive outlook on this disease. I believe that�s what Sibley Hospital does best; it treats you, educates you, cures you and helps you turn a new chapter in your life. I would like to conclude by saying how delighted I am that two of my dear grand daughters Noor and little Farah were born here in Sibley Hospital. Thank you Sibley hospital; thank you all for being here. Her Majesty Queen Farah Pahlavi interview with NBC Television. Collection Of Contributions and Paintings From Many Unnamed Free Iran Activists For Secular Democracy, Free Society and Human Rights �. With our appreciation to the Great Iranian Queen Her Majesty Queen Farah Pahlavi for her support to our motherland. 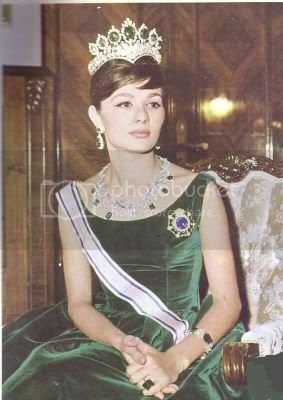 Happy Birthday to HIM Empress Shahbanou Farah Pahlavi, our beloved Queen and the Mother of our Country. The last Empress of Persia is now 70 years old and has spent the last 30 in exile. In this interview, by e-mail, she tells of her anguish at Lajes Air Base one night in March 1980. 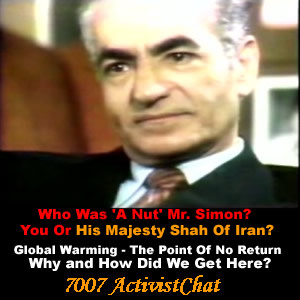 Four months later, Reza Pahlavi died in Cairo. 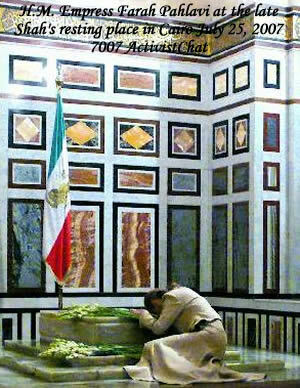 Today she hopes that Tehran�s Islamic regime has its days numbered. Farah Diba Pahlavi has spent almost thirty years in exile but she cannot forget the night of 23rd March 1980 when an Evergreen Airlines DC9 in which she was travelling stopped over in the Azores. Officially it was a refuelling stop but the aircraft was held up for several hours on the tarmac without permission to take off. �It was an anxious moment,� the last Empress of Persia tells P�blica during a rare interview by e-mail. 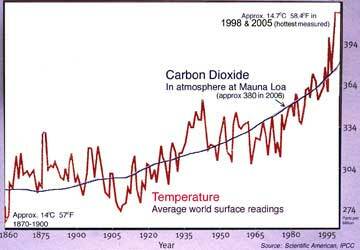 We have to go back in time to understand what actually happened at Lajes Air Force Base, and which could have changed the course of history. Farah Diba and her husband, Shah Mohammed Reza Pahlavi, had been forced to leave Panama and they should have gone on to Cairo where President Anwar Sadat had renewed his offer of refuge. They had been fleeing for over a year. Several doors had been closed to them after Ayatollah Khomeini had overthrown the monarchy.